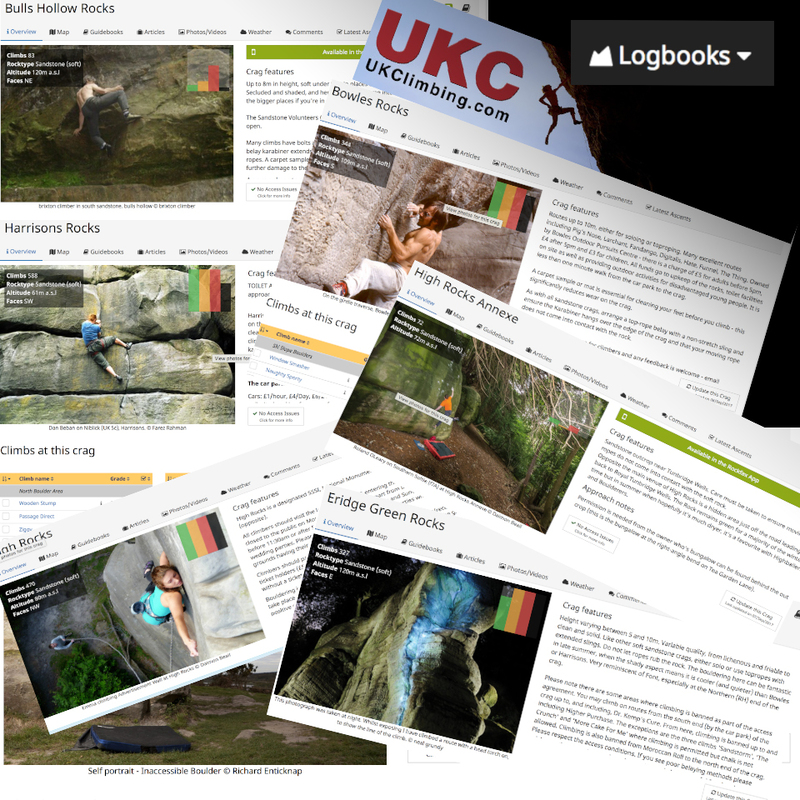 The UKC Logbooks have finally seen their much needed overhaul concerning areas that are featured in the new Southern Sandstone Climbs Rockfax guidebook. The guide will also be available on the Rockfax App and will sync with your current UKC logbook entries. Many of the previously unnamed problems now have names, and alternatively named logbook entries have been transferred to their new homes. For new route submissions or additional routes or problem entries, please ensure they are entered using the correct current name or new first ascent name and are not duplicates of current entries. For more information about adding new routes and the links to the Sandstone UKC pages, please read our 'New Routes' page.